Known as the Gator Squad, the team comprises of former dental assistant Christy Kroboth and ex healthcare manager, Chris Stephens - aka Gator Chris - and are regularly called out to capture the dangerous beasts. 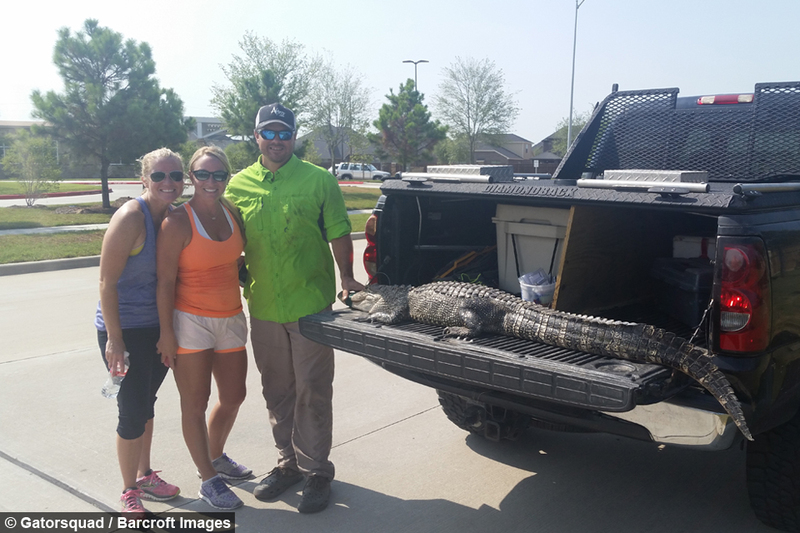 Based in Houston, Texas, the Gator Squad service residential and public areas in and around the city, capturing alligators in a variety of different places. 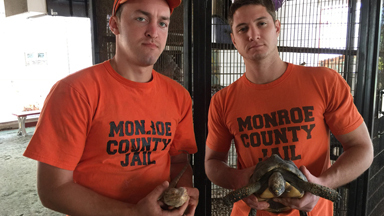 Unlike many in their profession, the duo are committed to relocating the gators they catch rather than exterminating them and seek to educate the public on how to react when they encounter one. Christy said: “What sets Gator Squad apart from other alligator catchers in the United States is our platform for education, teaching people about these amazing animals. 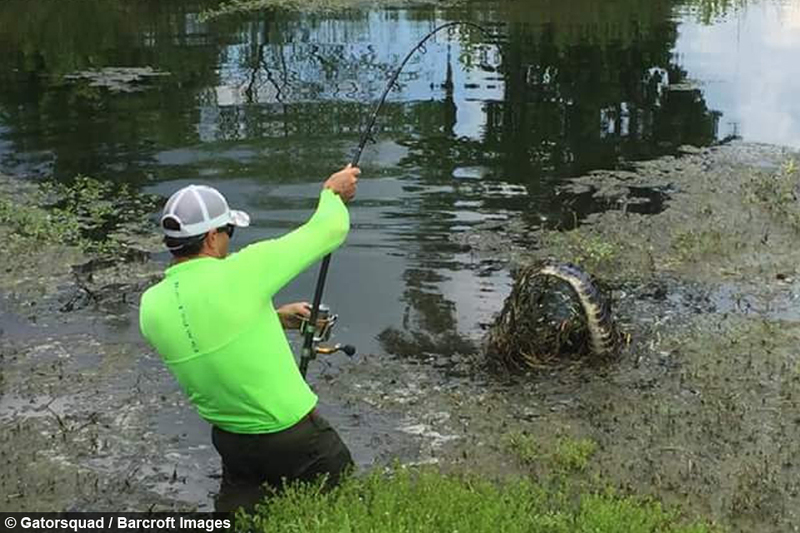 "We’re not out there looking to make a couple extra bucks, we are more concerned with the alligators' safety and well-being and how can we teach people to leave these alligators alone." 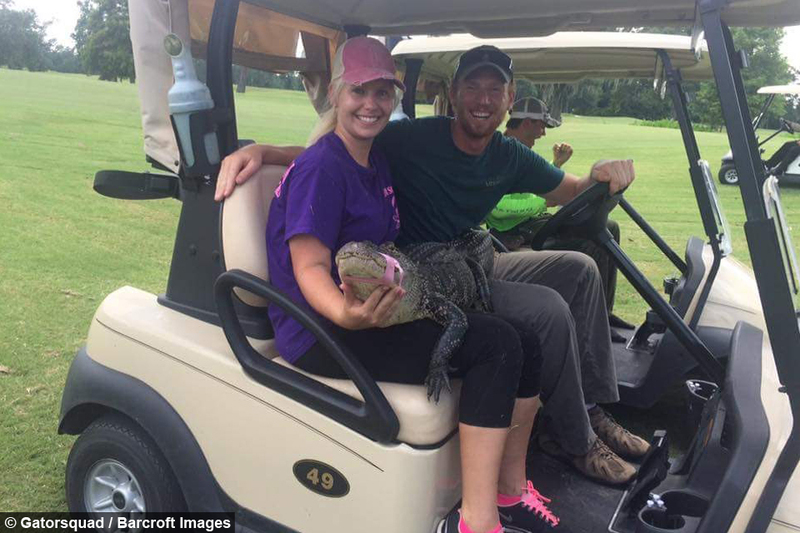 The 31-year-old is the rookie of the pair and has only been catching wild alligators for the last three years after deciding to quit her job as a dental assistant. 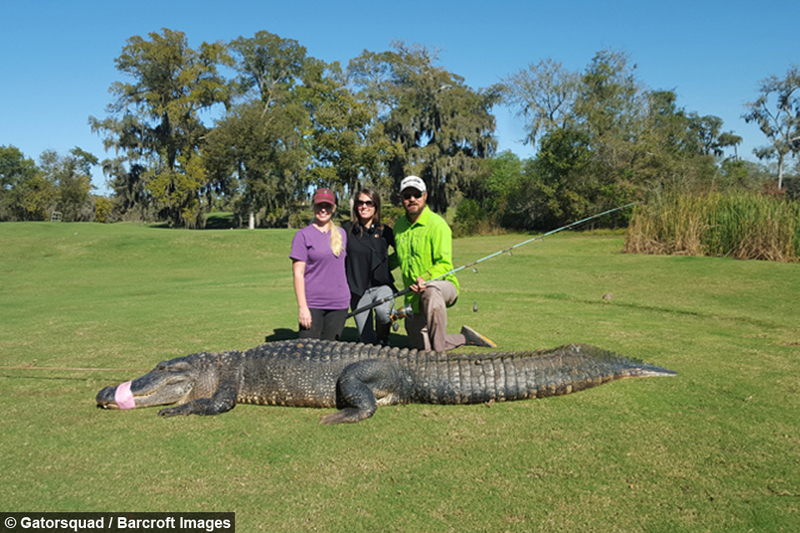 Despite only being in the industry for a handful of years, Christy has taken to it like a natural and has even caught the Gator Squad’s biggest alligator which they nicknamed, Godzilla. Measuring in at 13ft long and weighing an eye watering 900lbs, capturing Godzilla was Christy’s first real test as an alligator catcher. 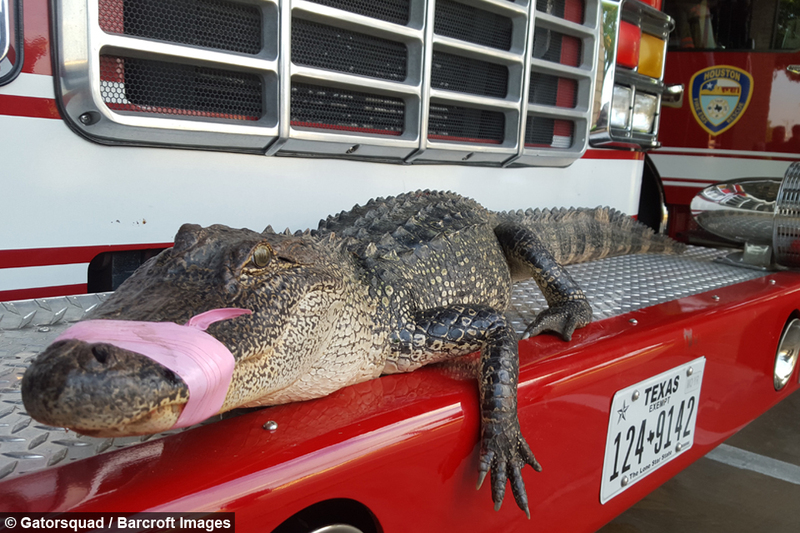 She said: “He was in the parking lot of a local hardware store here in Texas. 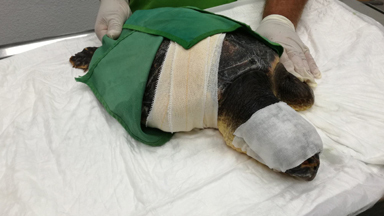 The call came in at around 6am, I had no help other than my mum who volunteered to help me. The call came in as a 6ft alligator and when we got out there this guy was huge, somebody really underestimated the size of this alligator. 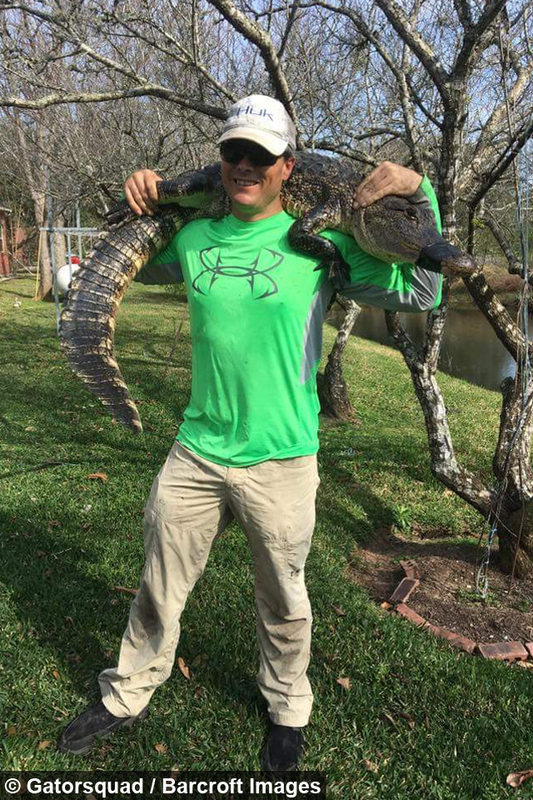 Chris Stephens, the more experienced member of Gator Squad has been working alongside the scaley beasts on and off for the past 20 years. His first experience with gators was at a wild life ranch, since then his fascination and love of these jurassic creatures has grown stronger over the years. Leaving a well-paying job as a healthcare manager, Chris decided to dedicate his life to capturing and relocating wild alligators. 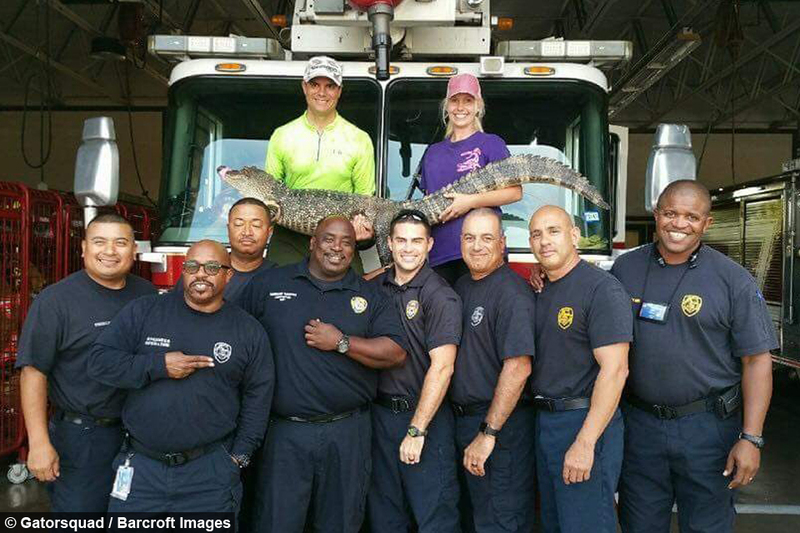 He said: “Alligators were so much easier to deal with, I’ll rather go out to deal with an angry alligator than one employee. I’ll rather deal with two dozen angry alligators than one employee trying to argue about whatever. 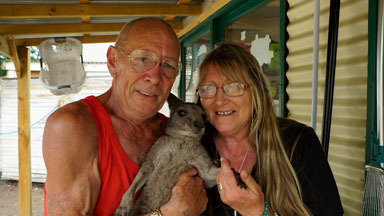 Chris, who is also a trained army medic, leads an exhilarating life outside of catching wild alligators as the self confessed adrenalin junkie is also a keen skydiver. 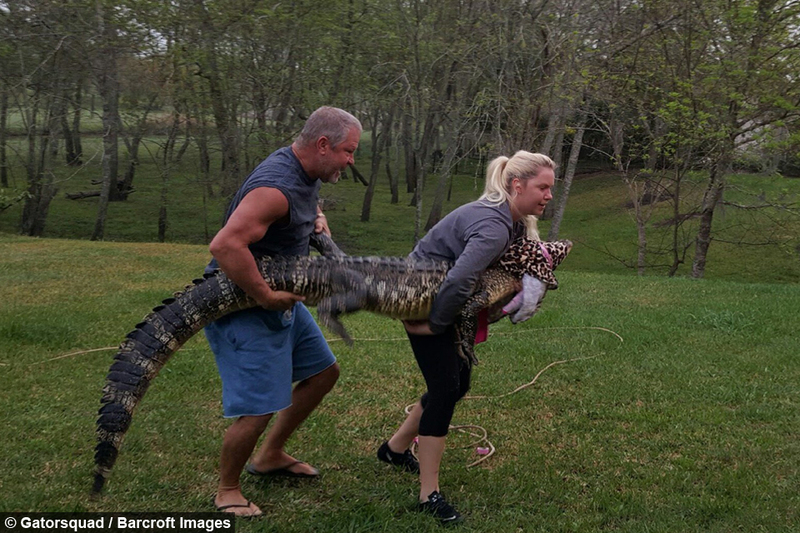 Although the pair have years of experience catching wild alligators, the fear of getting hurt still looms in the back of their minds. 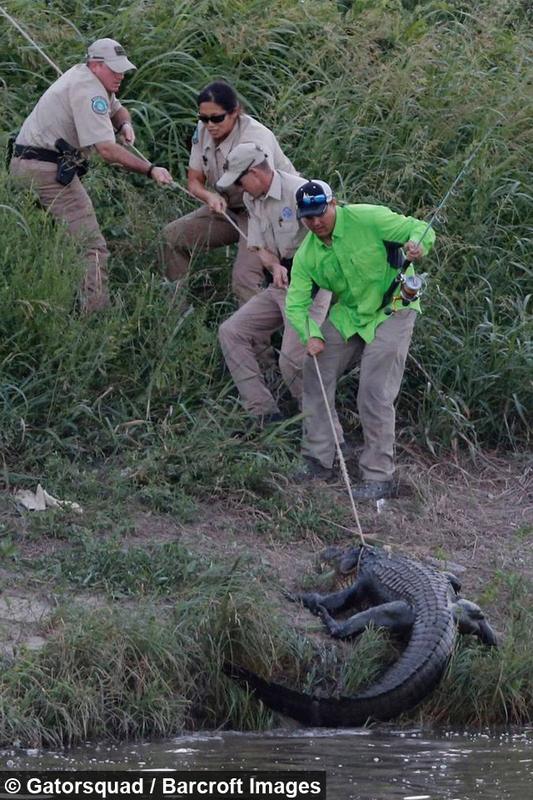 On average the team capture upwards of 100 alligators a year, ranging in size as well as temperament. And due to the large area that Gator Squad cover many of these alligators turn up in some very unusual places. Chris said: “The oddest place I guess was in a cement factory in the poisoned water, where we had a poor gator about 5ft long that was living in water.